Over two years ago, I made a screencast about Web Analytics for Nonprofits that covered the basics of using google analytics, web metrics, and some nonprofit case studies featuring Laura White and the Idealist. That's just about when I discovered Avinash Kaushik's blog, Occam's Razor and his first book on Web analytics. I reached out to Avinash and he was very generous with his time, helping us understand traditional web metrics as well as Google Analytics. Through our conversation, we also touched on the metrics for blogs. I've learned a lot about metrics from Avinash. Avinash has just published his second book, Web Analytics 2.0. It's a desktop bible for anyone who has to gather web analytics data as part of their job. What I like best is that it takes the mystery out of social media metrics. It gets even better: Avinash is donates all proceeds from his books to two charities: The Smile Train and The Ekai Vidyalaya Foundation. 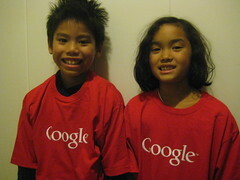 Harry and Sara say "Thank You Avinash" for the Google Schwag! I had the pleasure having lunch with Avinash over at the Googleplex. The chapter that caught my curiosity was Chapter 7: Failing Faster - Unleashing the Power of Testing and Experimentation and we discussed it in the video above. He explains why experimentation is critical for success in using the web, particularly social media. Avinash feels that in a world of finite resources, it is very important to experiment and fail fast. With social media and on the web, experiments are fast, cheap, and scalable. The learning that results is what brings your more success. Experimentation also helps an organization make decisions based on audience feedback and analytics data, not your own hunches. This try it, fix it approach leads to incremental improvements which in turn leads to better outcomes. The F-word chapter (Failure) offers some really useful tips about creating and nurturing a "experiment culture." I was thrilled to discover this part of the book because I'm designing a learning community/technical project that is based on valuing experimentation. So, been working on a methodology for social media experiments. While the advice in the book is geared for tests to improve a web site, these are translatable to social media experiments. I've summarized a couple of the tips he offers about methods for testing. (1) The First Test: KISS: The first experiment should be simple from an idea, execution, and measurement and use A/B method. This is a technique for testing two or more versions. (2) Just Get Started: Avoid spending so much time trying to design the perfect experiment with the perfect measurement tool that you don't actually implement. Learning means implementation - even if you fail. (3) Test to Learn, Not Validate Your Gut: Don't think about testing as a way to support a decision that you're making based on your gut. Do it to learn what works or doesn't. (4) Start with a Hypothesis: Your hypothesis should embed a success metric. For example, "My hypothesis is that our Facebook Fans are more likely to engage with us when we post links that have a question in the title." (5) Make Goals Evaluation Criteria and Up-Front Decisions: It is important to not only identify your success metric, but also establish the criteria to judge a victory. (6) Design Tests That Solve A Pain Point for Your Audience: Design your experiments so they address a point of pain for a customer or audience. (7) Learn, Learn, Learn: If you're going to experiment, you need to analyze your data and learn from it. Even if your social media experiment was a miserable flop, there is a lot of valuable learning. (8) Evangelism and Expertise: It is important to have someone who can preach and share why testing is important and someone who has the expertise in metrics and data. Finally, Avinash suggests that testing should be fun! This was originally published at the Rednod blog by Alistair Croll, Sarah Severson, and Alex Bowyer. Alistair Croll is the co-author along with Sean Power of Complete Web Monitoring recently published by O'Reilly. A week before Canada Day (July 1) we built and tested a simple site that encouraged donors to “buy their country a beer” — basically making a donation. We told a few key bloggers and Twitter personalities about it beforehand; then, on June 30, we started talking about it online. We continued to mention it, and amplified what others were saying, until midday on July 2. What worked? What didn’t? What would we have changed? Here’s a quick list. We built analytics into the process. We used bit.ly (to track viral spread), Google Analytics (for goal conversions), Paypal audit accounts (to see donation amounts) and Clicky (for real-time web analytics.) Clicky is essential for short-term campaigns because it provides minute-by-minute visitor information, whereas most analytics tools only show traffic daily. We made the action obvious. We had one simple goal for people to accomplish on the donation site: donate. We even broke it into three different tiers (beer, pitcher, and round) to make it straightforward. We didn’t build it all ourselves. We used Paypal for donations; while it has its issues, it’s also a well-known and trusted brand, and we seem respectable by association. We also used free services like Google Groups and Clicky. This means we didn’t need to code too much. We set up tracking with hashtags and keyword searches. This meant we could watch the activity online and amplify it or respond to questions. We had plenty of ways for people to reach us. We had links to the Visible Government website, and generated enquiries there. We also linked to the Google Group discussion, which added new members and triggered conversations. We had a great cause. The simple fact is that without a decent motive, you won’t have much success. People felt they were doing their civic duty by mentioning us, which helped spread. If your cause isn’t just, people will feel icky promoting it. We had a simple, catchy message. “Buy your country a beer” was strangely patriotic, and people liked it. Made To Stick is the bible for clear, simple messages. Early on in the design process, we were tempted to overload the message–something like, “Buy your country a beer and promote open interactions between federal government and Canadian citizens.” That wouldn’t have worked because it wasn’t simple. But “buy your country a beer” is intriguing. Remember that the tagline’s purpose is to provoke interest. Once you’ve got someone’s attention you can do things with it. Set up Reddit, Digg, and other social news aggregators. 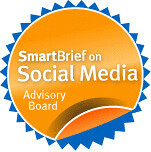 We put badges on the Beers For Canada website encouraging people to Digg us and promote us on other social news aggregators. This made it easy for people to support us and spread the word. Here are some of the lessons we’ve learned, and the things we’d have done differently. A short timeframe limits others’ ability to build online context about you. When you’re running a fundraiser, people want context. It’s a catch-22: If you do something quick and spontaneous, you’ll build excitement and mystery, but you won’t have the time to inform bloggers and the press about what you’re doing far enough in advance for them to provide details and perspectives. If you tell bloggers too soon, you lose the excitement. Plan out your whole message before you send the first tweet.We carefully crafted website copy but didn’t think enough about who would tweet what, when. In a real-time campaign, your copywriting isn’t done when you publish the site. It’s constant, and it needs to be planned. Schedule things, and have a single coordinator for the life of the campaign. At noon on June 30th, one of us put out our first tweet–and forgot to use the bit.ly URL that would track the spread of the campaign. This would have been avoided by having an initial schedule, and then having a single person adjust that schedule as things progressed and feedback came back from the analytics tools and the campaign. You simply can’t assume that ’someone’ will do it. Be transparent and obvious. Make sure the people affiliated with the campaign are clearly identified. I was personally thanking a lot of our supporters but my connection to either the campaign or Visible Government was not clear since it was coming from my personal account. Not only does this keep your campaign transparent it help you build you reputation and social capital making it more likely you will get those people back for a donation. One possibility would have been to temporarily change our avatars to include a visual cue–like the Visible Government maple leaf–for all those officially behind the campaign. Have a clear call to action. The website was pretty blunt about donations. We set it up, then told the world. What we quickly realized was that the Tweets themselves–not just the website–needed to be clear what we were asking people to do. Were we asking people just to tell their friends? To donate money? To watch the hashtag? To visit the site and learn more? In Twitter’s 140 characters, there’s only room for one call to action. You need to tell people what to do and make it easy for them to do it. Facebook is for slow burn, Twitter is for ADD. Twitter’s like speed dating: you see something, and quickly decide if you want more. By contrast, Facebook favors a groundswell of support: as more and more of your friends like something, you do too. The duration of your campaign affects which social networks you’ll rely on. We shouldn’t have wasted time on Facebook for a campaign of this duration. Define analytics goals better. We didn’t take the time to implement goal funnels within the system, which was a shame. What’s more, referral URLs are useless in a world where many Twitter users rely on Tweetdeck, Seesmic Desktop, or the Twitter client on their Blackberry or iPhone. To address this, we should have segmented shortened URLs using Google’s URL builder to inject metadata into the shortened URLs so we’d get a better idea of visitor source. Personal claims of action work best. Megabloggers like Tim O’Reilly, Om Malik, Austin Hill, Michael Geist, Tara Hunt, Mathew Ingram and others generated a ton of traffic and awareness. But the messages that generated the most donations–rather than just visits–were those where the RT testified to an action. Someone who said “I just bought a round - you should too” generated far more actual donations than someone who just said, “check this out”. Have an FAQ–and update it. We drafted an initial FAQ that had lots of information in it, as well as links to Visible Government. We were able to direct people here if they had questions. But we were missing certain pieces of information (for example, why donations weren’t tax deductible) and took too long to respond to questions and update the FAQ. Vary the message. Tweets about hashtag visualizations showing campaign growth, mentioning who was blogging about us, and retweeting others all kept the dialogue going, but they were done ad hoc and should have been better planned. You only get one chance to make an impression. We live in an information-starved world. People will only click on a link once unless they think there’s new news. So if your first message says, “check this out,” they will. If after that you say, “donate to this cause” they’re less likely to: they’ve already seen it. Only when there’s new information–”50 people have bought their country a beer”–will the audience consider revisiting things. Make the site interactive. If we’d provided people with somewhere to comment or share their thoughts–or even to suggest how the donations should be used–we’d have had more raw material for the campaign and could play back these comments to the online community that was discussing it. This also gives people a reason to check back and see how the discussion is progressing. Again, with a 36-hour campaign, this may be a lot more effort than you’re willing to expend, but we might have been able to use a Subreddit or some other already-built system. Spread your messages over time. Lots of people agreed to help spread the message, but it happened all at once and the initial message quickly lost traction. It would have been far more effective to have one person mention us, then let the second person tell the world all the great things that happened after the first mention, and so on. By firing all of our guns at once, we didn’t let the message “snowball” and build on existing momentum. A campaign like this needs lots of ’seeds’ to get the message out. Give donors a way to tell others automatically. We made it possible for people to tweet the site from a link on the site. But we should have had an option, selected by default, that made a tweet saying, “I just bought the country a beer and you can too.” This should have included a different shortened URL or analytics link, so we could differentiate first-visit traffic from viral donor traffic. Respond in person. You can’t plan for everything so make sure you are ready to answer any questions both publicly and promptly. Also, thank people for their donations — but respect their privacy; if you can thank them through direct messages, great. If they made a sizeable donation, you can acknowledge it by saying, “someone just donated $100″ (or in our case, “someone just bought the country a round.”) Don’t single out donors publicly as they may not want the attention. Keep people updated. If you’re tracking donations, tell people about the progress. Celebrate big donations or interesting blogs. The more you can show people that others are doing things, the more engaged they’ll be. Appeal to their inner lemming. We could have build a dashboard for statistics (donations, reddit ranking, retweet count, page views, etc.) We did discuss the amount of transparency we wanted (which is ironic for a transparent government initiative.) The real dilemma here is that you need to wait until the news is newsworthy. If we’d said, “hey, we have a total of $14 donated!” people would have discounted the success of the campaign. Have a next step. There’s a lot of positive sentiment about Visible Government now. We have some great ideas for how to use the money, including the forthcoming Code for Canada contest and an initiative to get computer science students to develop transparency applications. It’d be great if we had this ready to discuss when the campaign ended, because it would allow us to continue and amplify the engagement that the campaign generated. Plus, it’d let people feel good about what they’ve done. In other words, every campaign is part of a bigger picture of long-term connection with donors, markets, and audiences. Even though we didn’t focus on the numbers too much this time around, we still set some goals so we’d know what we were measuring. Not only did this give us a measure of success it helped evaluate the experience as a whole and focus us to come up with these lessons. We could clearly look at graphs and numbers and say “Yup. Nobody talked about us for over 4 hours,” and then wonder why. Viral spread versus megablogger attention. This campaign was promoted almost entirely on Twitter and using our personal and professional networks to spread the word. We were fortunate enough to have some really influential people blog and tweet about it. But we didn’t see the viral growth among others’ networks that we’d have liked. Conversion funnels and donations. Though tens of thousands of people read the tweets (these people have over a million followers collectively! ), we only saw 1,642total visits, but that translated to about $1,000 in donations. Conversion rates were less than 0.2%, which we attribute in part to the passive message we used at first. In other words, the tone of the campaign emphasized attention (”visit this page”) over conversion (”please donate”). Attention generated. Our bounce rate — the number of people who saw one page, then left — was only 51%, which is great: over 25% of visitors wanted to learn more about the campaign. What’s more, Visible Government saw a huge spike in attention. Compared to the previous week traffic spiked by 300%! We also have several conversations with the press underway as a result of the campaign. In the end this was a quick-and-dirty campaign that raised some well-deserved money and got good visibility on a national scale. Along the way, we learned a lot about campaigning in a digital world, particularly one based on real-time word of mouth. Now we want to hear from you. What’s worked for you before? What else should we consider for next time? What did we do wrong? What are the best Twitter measurement tools and how are you using them? View more presentations from Alistair croll and sean power . I finally had the pleasure of meeting Sean Power at SXSW (he's the guy in the orange hat). He's an example of one of my loose ties strengthened through online social networks. It's also an example of how online social networks can connect you to people in your professional area who may not have met and open the door to valuable informal learning. I connected with Sean via Twitter when I was researching tools and techniques for listening and ROI. I asked a question on Twitter and he answered. He introduced me (virtually via Twitter) to Alistair Croll, co-author of their forthcoming book called "Watching Websites," a deep dive into web metrics and monitoring. Behavior: When do they Tweet? Relationships off Twitter: Whose influence bleeds past Twitter? Where are they saying it? When are they saying it? The next step is identify the best ones for measurement. I'd love some nonprofit examples. How are you measuring or tracking your Twitter strategy? What tools are you using? How are you applying the insights you glean? Marshall Kirkpatrick wrote a piece called "The Inner Circles of 10 Geek Heros" using a tool developer Pete Warden's service Mailana. The tool is quite fascinating because it combines a light weight social network analysis (see this page to learn more about the methodology) of your twitter friends with search. 1. Marnie Webb is the co-CEO at Compumentor/TechSoup. You should get to know Marnie; once you do you'll wonder why you waited so long. 2. Amy Gahran, see Jeffrey Levy's list above. Gahran has a lot of conversation with a lot of awesome people. 3. Jonathon D. Colman does SEO for REI. 4. Beth Dunn is a consultant and MBA candidate. 5. Dr. Mani is an Indian entrepreneur and heart surgeon. What's interesting to me is looking at my map and identifying sub-communities or spokes and hubs. They identify different nooks and crannies of my network. For example, I can clearly see the Aussies I met or connected with as part of my trip to teach there last year. (Those folks are:@silkcharm, @dnwallace, @edwardharran and @divabat). I can see in this inner circle at least 8 or 9 hubs. 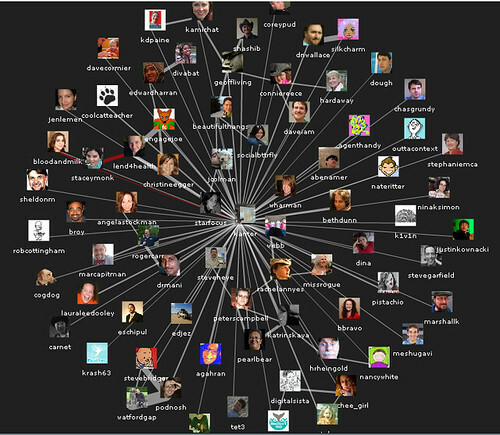 I can also click on a map of someone in my network, KDPaine, for example, and see who her inner circle is. I can also search by keyword and she who she talks to about that. For example, I searched KD Paine's map on the word "metrics" Presumbly, because these people are talking to KD Paine (and she is responding) and the tweets contain the word "metrics" - these might be people I'd want to connect with because I'm interested in this topic. There's something just a little bit creepy about this. While we've opted to have all these conversations in public, the tools let people track more granular information about you - who you talk to and what you talk about it. What's your takeaway from this tool? How would you use it? Do you think it raises some privacy and security concerns? What works and rhymes? A creative report on non-profits, social media, and effective ROIs delivered as poetry slam and expertly judged including interactive crowd participation. Come measure success. This post includes all the links and additional ROI resources that will be mentioned or discussed during the session. I'm writing this post for the benefit of our "Twitter Backchannel Moderators" who will be live tweeting the panel and posting these URLs to Twitter. To follow the Twitter stream or ask questions or make comments, use the #ROI hashtag. Who knew that there were poets on Twitter? One of them @peoppenheimer was kind enough to critic and help my own poem's meter and rhyme! Thanks! Not only that, but it shows how we took our return from this experiment and placed it within the programs website to show more dynamic content and interaction possibilities. NWF's Twitter presence has grown because while I want NWF to still serve as the roll-up account for all of the programs, I wanted to give a chance to some of the program managers to create friendships with Twitter users from their specific audience. http://www.twitter.com/wildlife_watch is a great example of this. While we have a number or random staff also creating relationships with people that are interested in what they do, the programs allow for a very specific audience to collect information about what they are most interested in. What if measurement could include social interactions and what they stand for? I thought this it is, and nothing more. Not just linkbacks here but something more. And the only thing I could think was How can I measure engagement more? This I whispered, and an echo murmured back the word "explore"
Soon again I started tweeting more strategically than before. Perhaps with this we will engage more. Ghastly grim and empty forums we'll be faced with nevermore! Tell me what thy wildlife name is on the twitter feed-but be sure! That Twitter was the answer to all their programs' problems evermore. Traffic, comments, tweets and other means of engagement to record. A little birdy told the web team "We should use a twitter stream"
With Twitter, Facebook, Digg and Stumbleupon gone are the days forgotten lore. This I hope and so much more. Carie's poem is about the Humane Society's experiments with photo contests and how to use metrics to improve your social media strategy. How Do You Measure Success: Dollars or Doggie Treats? wordpress bc of ease of publishing. Can teach field to use. Has rss capability. Has tagging and category capability so media can subscribe to only what they’re interested in receiving. Flickr bc have established presence there and can cross post for bigger influence. Everyone likes photos. Utterli bc often our volunteers only have a phone and no computer or internet access. Utterli lets them use phone to tell us stories about their process. saw increase in understanding the process of responding to a massive disaster, which means fewer negative stories about how we’re not there quick enough or not handing out enough money. Collected hundreds of “thanks” from people affected via Twitter and regular channels saying the info we provided on newsroom helped them navigate their situation better. Gained lots of social media fans. Can invite them to engage with us on our other platforms and by subscribing to our email program. Teach chapters to document their own disasters on their own newsrooms so we can aggregate a national picture of data of how much the org does in a day when you won’t hear a word about it. Goal to lead to increased sustained donations rather than episodic giving, increased understanding. Wendy's Poem is a spoof on Dr. Seuss's One Fish, Two Fish. Say …. It’s hard to prove social media’s role. Some goals are talking and some are listening. Some are energizing and some are embracing. Sometimes you have numbers and sometimes you fudge. I do not know, go ask the judges! The stuff that comes as a surprise and the stuff that’s planned. Because the vols are juggling lots of disaster balls. And as a kicker to have a spot for aggregated info. It’s slicker. The Red Cross wanted one place to update response info from everywhere. To do just this when the wind gets breezy. We thought media would like to see. And people affected and their families. Oh me oh my. What a lot of audiences came by. Some have influence, some need sustenance, some are curious and some need assurance. Where do they come from? I can’t say but I bet they’ve come a long long way. We see them come and see them go. Some are fast and some are slow. Some are high and some are low. Not one of them is like another. Don’t ask me why. Go ask your brother. 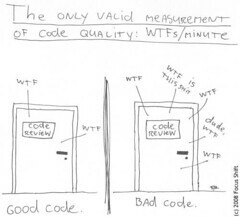 Say, let’s define our metrics. 1, 2, 3. Where do we want our newsroom to be? 11? Social media is something new. Hits and page views just won’t do. Try, try, try. Did you ever try before you buy? We tried a guide with just one disaster at a time. We looked at growing views and hits, from one to the next. We looked at incoming links and popular subjects. We asked media partners about their use and what we should add or take away. We changed to suit them along the way. And we altered how we arranged our letters. They say the newsroom increased their clout and helped them understand what social media is all about. Wordpress is the main platform and fuel. Flickr helps us to show the story. We cross post from our presence there and illustrate our response in all its glory. Utterli is for the ears. Makes it easy for you to hear real time updates from our volunteers. We’d be nowhere without the volunteers. They’re full of info, blood, sweat, and tears. Where to go from here? We look at what we’ve accomplished and cheer. We analyze what went right and whether we fulfilled our original goals almost or quite. We like our newsroom and this is why. It does all the work when the piles get high. Hello there success, how do you do? Tell me, tell, me, what is new? And many hundreds linked to us I must confess. We asked everyone is this valuable and useful? Their answer was yes! Yes! Yes! It isn’t perfect. We have room to grow. By watching the pilot program flow. So we can begin to document not just big disasters but also small. That we’ve decided to go all out. So we’re increasing the quality of the content from our embeds. Evaluated them against our expected consequences. All the while measuring and analyzing and treasuring. Now I look forward to your reply. David will be perform a spoken word and video poem about using Twitter to recruit blood donors and the Austin Twestival. 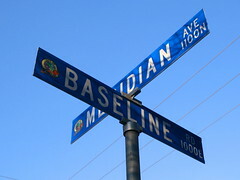 It's just another channel, another avenue, another street. and bringing there whole crew. Media lines you must read. I'm about to bail. I don't have time for the fail whale. all in 140 characters or less. If you were in the room or not, and have some great examples or resources about nonprofit social media and roi - drop them in the comments! Now I know why Technorati ranking hasn't changed in months! One of the metrics that bloggers track is "Authority" or the number of blogs linking to a blog within the last six months. The higher the number, the greater the level of Authority a blog earns. Most bloggers use the Technorati index to benchmark authority ranking. It goes back to the definition of authority. Links from blogs are no longer the only measurable game in town. Potentially valuable linkbacks are increasingly shared in micro communities and social networks such as Twitter, Facebook, and FriendFeed and they are detouring attention and time away from formal blog responses. As the social Web and new services continue the migration and permeation into everything we do online, attention is not scalable. Many refer to this dilemma as attention scarcity or continuous partial attention (CPA) - an increasingly thinning state of focus. It’s affecting how and what we consume, when, and more importantly, how we react, participate and share. That something is forever vying for our attention and relentlessly pushing us to do more with less driven by the omnipresent fear of potentially missing what’s next. Will we need a separate Technorati-type index for measuring the authority of content publishers on Twitter and other micro-media in their own right? Of course we do. Klout will debut a new service that helps bloggers and content publishers measure Link Authority and a conversation index by tracking the frequency of shared URLs tied to the weighted stature of those sharing them compared to other links shared during the same time frame. The service will eventually provide a foundation to compare source URLs ranked within the service over time. Hmm .. Lots of think about on the plane ride down to Austin. What's Your Social Media Baseline? Make a note of the obvious numbers (number of Facebook fans, Twitter followers, Digg links, Delicious bookmarks, and referrals from social media sites, plus existing website traffic). Make a note of the less obvious benchmarks (such as SEO rankings and referrals, customer satisfaction scores and other business data). Make a note of ROI benchmarks. How much are you paying to acquire customers via other marketing channels? How vast is that advertising budget, and how is it being split up? And what proportion is being directed into channels that you cannot accurately measure? There is a comment in the post from Dan McQuillan who has been mulling over measurement of social media from the nonprofit perspective. His post "The Apollo and Dionysus of digital evaluation" talks about finding the right mashup between numbers and stories using mythology metaphors. What's the technique that converts the Apollonian distancing of neatly printed tables to the DionysianSavvy Chavvy - then, maybe, it'll be pretty clear what's working and what the impact really is. celebration of shared sensations of change? I think one of the consultants at the CES session cracked it when she said that the lab coats of traditional expert evaluation were starting to give way to self-evaluation and user-led evaluation. Maybe what makes the difference is not just the social media but the people who's hands it's in - when the cameras are held by the young people (as they have been at some Make Your Mark events), where users are making the podcasts and the online communities are as self-managed as as Savvy Chavvy - then, maybe, it'll be pretty clear what's working and what the impact really is. Dan points over to the Measurment Camp Wiki that I need to explore further. You need to pick the right hard data points (fancy way of saying metrics) that will help you harvest insights to improve your social media strategy. For blogging, you have to use a couple of different tools to get the different metrics you need. The tools include Google Analytics, PostRank, Feedburner, and others. Of course, you need to set overall goals for your blog and understand your audience. Next, you need to know the right metric(s), the tool or combination of tools to collect the data, and how the tools measure the metric. Most importantly, you need a thinking process - either alone or as a team - to harvest insights. If you want to assess reader interest in one blog post versus another, I'd suggest the following process. Reader Growth: This is content consumption. There are two different profiles: subscribers and visitors. Subscribers have made a commitment to regularly receiving (and hopefully reading or at least scanning) your blog. Visitors are people who visit your blog. You should be looking at monthly trends over time. This will tell you a lot about reader satisfaction with your content. Hard Data Points: Look at the Feed Subscribers trends from Feedburner and Unique Visitors Trends from Google Analytics. Understand how Google Analytics calculates unique visitors and how Feedburner calculates subscribers, but please don't get so hung up on geekiness part of measurement that you don't have time to harvest insights. Insight Harvesting: Is the number of visitors and subscribers going up and to the right. If not, why? If yes, why? If no, why? Think about your publishing frequency, length of posts, and mix of topics. Reader Engagement Index: This how much your readers are interacting with you and your content and sharing your content with others. Hard Data Points: For this, I use PostRank scores and pick out all posts that scored a perfect 10. It is based on analysis of the "5 Cs" of engagement: creating, critiquing, chatting, collecting, and clicking. Understand how the model works, but don't get distracted. 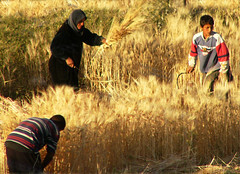 Insight Harvesting: What are the topics? Are these posts longer more in-depth, or short and focused on on-topic? Do they have round up a lot outside resources? What's the tone, formal or informal? Are they tips? What is the quality of the conversation in the comments? What did you learn from the conversation? If you have a group blog, are there differences between authors? Why? Did anything surprise you? Reader Bookmarking: This is bookmarked content for later retrieval which is some indication of reader value. Hard Data Points: You can find out about bookmark saves from PostRank numbers, although the program doesn't make it efficient to grab data over time. Remember bookmarked items can also influence your blog traffic (positively). Insight Harvesting: What was the topic of the post? Are they tip posts, resource roundups, or other formats? Are there patterns? 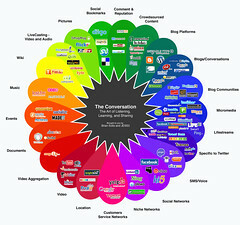 Conversation Rate: This is the commenting and conversation that is happening on your blog. Hard Data Points: You can get the most commented posts from PostRank. If you use wordpress, Joost Blog Metrics will give you a post to comment ratio. Insight Harvesting: What is the style of the writing? Do posts with more questions in the title and questions in the end generate more comments? Did you do any outreach to encourage commenting? Is there a conversation happening between people who comment? What do you do to facilitate it? What's the quality of the commenting - are you learning? Are the comments positive or negative? Authority: This is the number of links to a post. This metric gives you indication of the value of the content - that people were linking to it. It can also influence traffic. Hard Data Points: Do an analysis of the number of links to a post using Yahoo Site Explorer. Insight Harvesting: Pull out the top 25 linked posts. Analyze the types of posts (content and format) that get linked and the impact of that linking in referrals using Google Analytics. Are there any patterns? Page Views: The number of times a page (unit of content) was viewed. Not sure how much this will tell you about your content quality, but it will perhaps give you some insights about your outreach. Hard Data Points: You can get this from Google Analytics. Insight Harvesting: Why are these blog posts getting higher page views than others? What is the referral traffic? What was your outreach strategy? Industry Index: I don't use this one yet, it was suggested by a Kynam Dom in this comment. This is evaluating your performance in relation to other blogs in your space using the same metrics. Hard Data Points: There isn't a nonprofit or nonprofit technology blogs version of the Ad Age Ranking of marketing blogs, although there are ways to do this privately. You could analyze your blog using services like compete, commetrics, and Alexa - Alan Benamer has done this. Insight Harvesting: Where is my blog on the index, high or low? What are the qualities that top five blogs have in common? How does that compare to my blog? What is your thought and reflection process for insight harvesting? What reflective questions do you ask while looking at your data? What are some insights that you've harvested about your social media strategy? I'm noodling around with a couple of ideas so this post does a lot musing ..
A few days ago, I asked "What are the best metrics to track your blog's ROI and make improvements?" I've been trying think through a benchmarking process that would identify metrics to track, how to track, and how to reflect on the data to make improvements in your blog. Laura Lee Dooley's blog post "The Social Media Metrics Lottery" pointed to and summarized Don Bartholomew's thoughts on engagement as well as other posts on blogging ROI from the corporate sector. Laura goes on to share how she, as social media strategist for a nonprofit, thinks about it. What happens after a nonprofit donor or stakeholder is satisfied with the engagement. Basically we track all these different ways people respond to and share content (like blog posts). However, not all activities are created equal, so to speak. It takes more work on the part of the reader and shows more interest (i.e. engagement) to leave a comment or write your own blog post responding to someone else's, for example, than it does to just click on a post to read it, or click a button to bookmark it. So trackbacks and comments get more weight than clicks and views. Additionally, PostRanks are calculated one of two ways, either comparing a site's content against its own past performance only (feed-based PostRank). Our website shows feed-based, folder view in Google Reader with our extension installed shows thematic, as an example -- thematic is comparing the posts of all feeds you've added to a specific folder against each other. So in that case you can compare TechCrunch to Mashable, for example, if you wanted to, but with feed-based you're not being ranked against any sites/posts but your own. So you'll never get really low PostRank scores because your blog doesn't get hundreds of comments per post and millions of pageviews like TechCrunch does. Now feed-based PostRank doesn't rank new posts against ALL past posts back to the beginning of your blog, but it analyzes back a ways based on time frame and posting frequency (among other things). Analyzing on more than one basis prevents rankings being skewed for publishers who only post once a month, for example, as opposed to those who post 10 times a day. Once a feed is in our system, we regularly check for new posts that have been published, and start gathering the engagement metrics for the new post as they start showing up. We also check for metrics for existing posts for a set length of time. (We've done analysis that shows a fairly standard "engagement curve" for when and how engagement metrics show up for any post.) When a post is first added to our system after being published, it has a PostRank of 1.0, since it won't have any engagement yet. And as readers start to respond -- commenting, tweeting, bookmarking, etc., the PostRank score will go up over time to a maximum of 10. 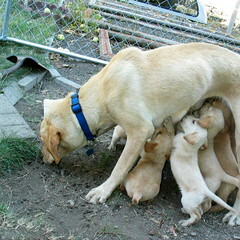 Because feed-based PostRank analyzes your posts based on your own previous posts, it's possible to have a post ranked 10 on one blog with, say, 5 comments, 20 pageviews, and 6 bookmarks, if you don't usually get that much engagement, but have a post rank 10 on another blog with 200 comments, 10,000 pageviews, and 300 bookmarks if that's high for that blog's engagement, but not freakishly high. Should also note, re. freakishly high, we do analyze for things like the digg/slashdot effect, so if one post in someone's blog gets a really unusually high amount of engagement compared to the norm, we don't allow that to completely skew the analysis afterwards, e.g. "dooming" the next bunch of posts to a PostRank of 1.0 because they're nowhere near what just one post got. Hopefully that explains the fundamentals of how the analysis works. There's also some info on the differences that appear in PostRank scores for posts depending if they show up on the website or the widget (relates to feed-based vs. thematic PostRank), but I'm working on a blog post for that, so will send you the link when it's up. One of the interesting points for me in learning how the tools works is the "thematic" ranking - comparing feeds from different blogs to one another. Is there any value or meaning to looking at traffic trends via page views? How do you understand the impact of using Twitter to share your blog post links or if other people Re Tweet or share them? Is there a formula or set of sharper reflection questions? I'm doing this an individual, how would you use an analysis like this to help with planning or making the case for social media (blogs) to your executive director? What are tools or techniques are there to collect data, summarize it, or reflect that are efficient? How do you use qualitative information and perhaps survey data from readers effectively? Do you need it? Kynam Doan left a comment suggesting adding a metric that measures your blog's performance in relation to others in your market space. Alan Benamer has indexed nonprofit web sites based on compete rankings and looking at readership. The one thing I don't like about this sort of analysis is that it encourages competition. I'd like to do this type of analysis to get a sense of what the industry average is for commenting on nonprofit blogs - so you could set some goals. What are the best hard data points and qualitative insights that can help you improve your blog? For the past two years, I've been doing an annual Blog benchmarking process that attempts to do a ROI analysis. Figuring out the Return on Investment for your blog can't be done with a single metric. I look at several metrics proposed by Avinash Kaushik These include author contribution, audience growth, conversation rate, and authority Then I look at the amount of time in my work flow and reflect on productivity. The last step is difficult: Translating tangible and intangible benefits into a dollar value. I do that with a grain of salt. The most valuable part of the blog benchmarking process is the reflection process and linking insights to making improvements. This is the stuff that can't necessarily be counted, but if you ignore it completely you really miss out on the opportunity to improve the quality of your blogging, which presumably increases the blog's ROI. 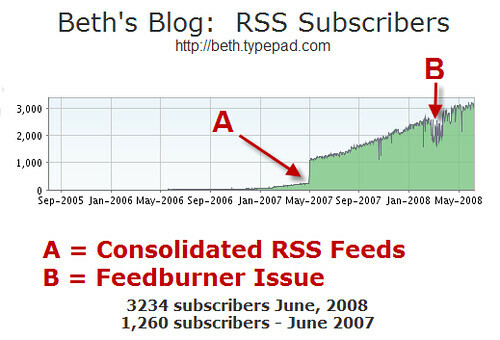 At the end of 2008, I did a "Best of Beth's Blog" analysis using PostRank. It takes your RSS feed and applies engagement metrics, analyzing the types and frequency of an audience's interaction with your content. Each blog post is given a score from 1 to 10, representing how interesting and relevant people have found your content. The more interesting or relevant an item is, the more work they will do to share or respond to that item so interactions that require more effort are weighted higher. PostRank scoring is based on analysis of the "5 Cs" of engagement: creating, critiquing, chatting, collecting, and clicking. To illustrate that point for all our measurement and metric geeks out there, what you are trying to do is assign multiple choice scoring to an essay question. It’s not possible. Katie hit the nail on the head near the end of her round table discussion when she said, “Ultimately, the key question to ask when measuring engagement is, ‘Are we getting what we want out of the conversation?’” And, as stubborn as it sounds Mr. CEO, you don’t get money out of a conversation. I'm also having some problems with lumping all the engagement measures together, although it's good for a quick and dirty analysis. Is the number of comments the sole measure for success of a blog? Some education technology bloggers, like Tony Karrer suggest looking at the number of views and delicious saves as does Sue Waters in her post, Life is One Big Top Ten. Chris Brogan recently provided some insights about bookmarked blog posts and how they can help increase traffic. And notice that he doesn't just take a list of most bookmarked content, that's only the first step. He's done the reflection process about why a blog post get bookmarked (what's the format or criteria) and what happens when a lot of people bookmark a blog post. Nina Simon discussed why commenting metrics shouldn't be the only metric to use to help you reflect on your blog and make improvements. Raw Author Contribution: Frequency of publication and number of words. Setting a goal for publication schedule and consistency and looking back to see if you've stuck to it. Analysis of words in posts. If you use wordpress, Joost Blog Metrics can give you these numbers easily. What is the optimal publication rate for your blog that builds readership? Reader Growth: This is content consumption and there are two different types of consumers and you're looking a monthly trends over time. You can look at Unique Visitors Trends from Google Analytics (grain of salt about looking at numbers only) and the Feed Subscribers Trends from Feedburner. What you want to know - is the number of visitors and subscribers going up and to the right. If not, why? If yes, why? One thing I'd like to separate but can't is subscription delivery - via email versus RSS. I get great information by asking those who unsubscribe via email why. Reader Sharing: This is bookmarked content for later retrieval and some way to look at Twitter mentions (not sure if that is even valuable). You can find out about bookmark saves from PostRank numbers, although the program doesn't make it easy to calculate. Also, you need to reflect on the type of post and your goal. Conversation Rate: This is the commenting and conversation. You can get the most commented posts from PostRank. If you use wordpress, Joost Blog Metrics you can get a comment to post ratio. But you have to ask yourself, what did you learn from the conversation? What's the value of that? If I just took raw numbers, this blog would be all about giving about books and software because those tend to be my most commented posts. The value of comments to me - ideas for future posts and deepening my own learning. Ha, try to measure that or translate into a dollar amount. Cost (what!). For me, this is all about my time since my hosting costs are minimal. So, this is an opportunity to do a work flow analysis of your blogging and think about how to make it more productive. Return on Investment; This is where we do the math and attempt to make a business cause. You know, compute the cost of your time and subtract it form your income. To me, that's not useful. You need to look at both tangible and intangible benefits and translate them into some value. Best of Beth's Blog 2008: Finding The Top Ten Posts In Less Than Five MInutes! One of the things I've been wanting to do for a while is review my blog content for the year and select the "Top 10" posts or the "best of" posts. Once a year in June, I do an overall benchmarking and ROI analysis of my blog using particular metrics. But, a top ten post would focus on the content itself - and also jump start some thinking that I need to do for a redesign of this blog. A tool that use to evlauate my content is PostRank. It takes your RSS feed and applies engagement metrics, analyzing the types and frequency of an audience's interaction with your content. Each blog post is given a score from 1 to 10, representing how interesting and relevant people have found your content. The more interesting or relevant an item is, the more work they will do to share or respond to that item so interactions that require more effort are weighted higher. PostRank scoring is based on analysis of the "5 Cs" of engagement: creating, critiquing, chatting, collecting, and clicking. It uses sources such as how many delicious bookmarks, incoming links, how many times mentioned on Twitter, how many comments, etc. This analysis took all of five minutes. Then I spent another hour going back through the 1,000 plus blog posts and pulling out those that scored in the "best range" which was 8, 9, or 10. Should There Be A Social Actions Category on Digg? How Long Does It Take for 250 Super Connected Gnomedex Geeks to raise $2,500 for Cambodian kids? Help Me Send Leng Sopharath To College in Good Health! Where Are The Gen-Y Bloggers Who Write About Nonprofits and Social Change? Reports of the Death of Social Networking for Nonprofits Are Not True! Don't Let $50,000 for the Sharing Foundation Slip Away! Why Is Pharoth Wearing A Foo Camp T-Shirt? If your organization Tweets, will they donate? Social Networking: Part of Your Job or Just for Fun? Prioritizing Your Web Strategy Budget: What Slice of the Pie for Social Media? What's the sweet spot between personal productivity and social productivity? ROI: You Can't Quantify Love or Can You? Is Facebook Causes A One Night Stand? What Color Is Your Nonprofit's Blog? Information Coping Skills: How Information Overloaded Are You? What Happens When You Treat Social Media Like Communications Media? What is your blog conversation strategy? Tony Karrer suggests also looking at the number of views and delicious saves, so will do that in the next day. And, I love Sue Water's just picking your favorites without looking at the stats. IN two weeks, I will have the honor of presenting at the E-Metrics Conference with Jonathon Coleman, Nature Conservancy and Laura Lee Dooley. World Resources Institute - two of the savvy and smart nonprofit social media practitioners who are also metrics geeks. What a combination! Our session is on the social media metrics track and one of a few that are geared for nonprofit folks. If you aren't on facebook, twitter, friendfeed, technorati, and delicious, should you be? And once you jump into social media, how do you track and measure success? Tips, tools and stories from the trenches from three people who focus on online engagement and have more links, friends and followers than some small countries have citizens. It's a little bit intimidating to be in the presence of social media measurement gurus like KD Paine who session is earlier that day. I'm going to start the session with an overview of ROI thinking - mostly making the point about how measurement is more than math, but how it can help you figure out what is and what isn't working in social media. I'm using my experience benchmarking my blog with key metrics. I've decided rather than show how wonderful and perfect everything is - I'm going to drill down on how metrics can really help you improve results if you're not getting them at first and how to determine the return on investment. I've done it with a lot of story telling and loads of humor. Laura and Jonathan will be sharing awesome case studies based on their experience. Laura will focus on Twitter and measuring success. Jonathan will focus on using Digg. From what I've seen in the draft slides, their presentations will rock. For conference presentations, you can necessarily ask in advance what people's level of experience is with social media and measurement (beginner, intermediate, or expert). So, if you are attending E-Metrics or were going to attend and come to our session, what would your burning question be? What advice would you offer Working Films about measuring the impact of their social media strategy? I get lots of email requests like this and can't answer all them or blog either. Every now and then I like to share these queries and see what you, dear readers, think. I want to compile a report for my Executive Director about the impact of our online organizing strategies. When looking at our google analytic stats, I usually note the number of visitors, sites that people come from and keywords. But sometimes, those stats don't really tell us anything. What are some things that I should be looking for? I want to be able to tell the story of our online campaigns in a narrative way. Any ideas/links/resources would be helpful! The organization I work for is Working Films. We are a national nonprofit that works with documentary filmmakers to help them create their outreach plans. The films that we work with touch on serious social justice issues, so we link them up with organizations who are already doing work on the issue. Keeping an updated blog about what we are working on and to show the diverse voices of our staff. Twitter - to announce new blog posts, breaking news related to our work, and to ask supporters (followers) questions to get to know them better. Wikipedia - editing articles of films, events, and organizations that we are closely linked to in order to mention our affiliation with them. YouTube - to host trailers and clips of the films we work with. Here's a couple of tips/observations - but hoping the readers will jump in with comments and suggestions. You've got a lot going on here! My first question is out of all the stuff you're doing here, what is most effective? Do you have the staff/capacity to give all the time that is required to get results? Let's start with your blog. You need to set up a benchmarking process. About a year ago, I decided to benchmark my blog using some tips suggested by Avinash Kaushik. I've continued to do this on an annual basis to compare the results against my goals and have found it very useful. For each of the social media tools you are using, you might want to set up your google analytics so you can track referral traffic. Which one of these is sending you traffic. Also, are you directing your potential supporters to a spot on your web site where they can sign up for your email list or get into your CRM? For narrative stories, you need to keep a journal - and screen capture or write down notes as you go any stories related to how your social media strategy help you reach a goal. This post by Colin Delaney called "Measuring the Effects of Social Media Marketing" may give you some additional pointers as will this how-to post from Mashable. Okay readers, I'm handing over the mic to you. What advice you offer? Last week, I did my annual Blog ROI benchmarking and I started to noodle around with the question - How can I use AideRSS as a tool to help me evaluate engagement and improve my blog? I didn't get much further on figuring it out, but ProBlogger did in this post "Using AideRSS to Help Identify Hot Topics on Your Blog." You won’t simply want to repeat past topics that have done well but will probably do better to extend upon them. AideRSS can be used in lots of ways to track other blogs and help find great content on other blogs but for me this analysis of my own posts has become a valuable tool. How are you using AideRss? WeAreMedia Module 6: Considering the ROI (Return on Investment) of your organization's social media strategy - Let's Play Mad Libs! In the previous WeAreMedia modules, we covered how to develop a social media strategy and map. It is now time to consider the ROI (Return on Investment), an evaluation process and analysis of benefits, costs, and value of a social media strategy over time. While your initial foray into social media may not require huge investments in infrastructure or technology, you will need to invest one of your most valuables -- your time. So, how do you know it is worth it? An ROI process can help you measure the contribution to your organization's mission, give you a framework to track your strategy, set priorities, and helps you focus on results, not tools. This module covers the four basic building blocks to using ROI - benefits, metrics, value, and financial formulas as well as how to use quantitative and qualitative information to help you learn how to improve your social media strategy or understand the impact over time. This week we'll be building and discussing Module 6: Considering the ROI. For today, we're going to have some fun. The first step in an ROI process is to figure out the benefits. Benefits describe how a social media strategy might enhance your organization's programs or improves services or increases efficiency through reduced costs or increased revenue. When starting to think about benefits, you should brainstorm all potential benefits whether or not they appear difficult to support or quantify. How will the social media strategy contribute to effectiveness of staff to serve our stakeholders? How will the social media strategy help us build better relationships with our key audiences? How much time or money can we save? Will the social media strategy translate into earned revenue or increased donations? 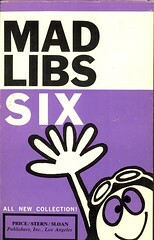 Did you ever play mad libs? They were fill in the blanks sentences that ended up being humorous. So, wouldn't it be fun to have a social media and nonprofits roi mad lib? I found Mashable's How To Develop a Social Media Plan in Five Easy Steps Via Britt Bravo who forwarded me this link. I was searching for the perfect illustration for "five" in flickr and since you all know how much I like dogs, I couldn't resist this photo. Last week, we explored questions about how nonprofits go about planning their social media efforts and various resources are summarized here. I found 3 really good planning templates. Two had an organizational lens and the other was adapted from some more traditional communications planning questions. We used a map metaphor, inspired by and adapted a post by Chris Brogan. We created a worksheet with more detailed questions adapted and remixed from CCTV's wiki. (The original worksheet was developed from recommendations from the Spin Project and the "Smart Chart" developed by Spitfire Strategies.) Amy Sample Ward contributed a workshop group exercise based on Forrester's POST method. I like the framework that How To Develop a Social Media Plan by Mashable presents. It is good for a project lens - after you've thought through the organizational capacity and outcomes questions. This is the best practice for the first step. If you attend any presentation on social media - you'll hear as the first step - listen. I like the suggestion of using alltop to find blogs to read - really easy and streamlined. Yep, that is the fun part. This is a really important step. Does anyone know of good posts that elaborate on this point and are written from a nonprofit perspective? What I like best about this section is that the focus isn't on numbers only - these are reflective questions related to learning. The action - feed -reflection process is very important. I've tweaked the questions so they are more nonprofit friendly. – Did we learn something about our stakeholders that we didn’t know before? – Did our stakeholders learn something about us? – Were we able to engage our stakeholders in new conversations? – Does our staff have an effective new tool for external feedback and reputation management? In summary, The Mashable How To Develop a Social Media Plan is a simplified, step-by-step approach that's really practical and useful for nonprofit organizations. I would love to see an example of a nonprofit's social media plan. Anyone have something share? I'm doing a series of blog about lessons learned from nonprofits in adopting social media projects as the Cute Dog Theory. (If you want to do an interview and have a dog, feel free to add your dog to the NpTech Dog Group) David J. Neff is the Director of Web, Film and Interactive Strategy for the American Cancer Society. He has been with the American Cancer Society for seven years since he graduated from college. He agreed to do an interview with his organization's socal media project, SharingHope.tv. 1. Tell me about the project - give me your elevator speech re: project. is the place to share that story in Video, Audio, Artwork or Photos. 2. What were the objectives? We wanted to give people a good enviroment to share their stories of hope in anyway they wanted. From video to audio to photos. YouTube has like 7 hours of video uploaded every 3 minutes. A firehose of information. We want to be the gardenhose of information. YouTube has tons of trolls and comment spam. We want a friendly enviroment where people can share and learn. I believe our community does just that. 3. How did the project unfold? We said if we are going to do this let's make it happen. In the American Cancer Society we have a group called the Futuring and Innovations Center. Think of them as Venture Capatlists for non-profits. They liked the idea and funded it within two weeks of me submitting the idea. The within 6 monhts we have a fully functional "Beta" Web Site up adn running. We are doing Beta for 6 months then Gamma then BAM we take the labels off and start advertising. 4. Define how you overcame challenges. Our biggest challenge was explaining to decision-makers why didn't use an existing platform like YouTube or Flickr or Facebook. We felt that there was not one single platform that caters to the millions of people who care about cancer and want to share their stories. Now hopefully they have that platform. Our main challenge right now? How do we tell people about it? How do I get people to test it and break it and make suggestions. I'm reaching out to bloggers. 5. Let's talk about numbers. How much did it cost? What were the results? How are you measuring them? . Well the costs are I have to do this all for under $25,000. That's the grant money I have. Right now with hosting and staff time it's costing me about 2,000 a month. The programming was around $4,000. The days of million dollar web sites are dead. Open source and local talent. It's all about that. 6. What advice would you give to other nonprofits? Video is the future! Imagine a world where your customer tells you what they want ......and you actually listen. It's what we are doing right now. - What is the value of having a better conversation? - What is the value of meeting someone? - What is the value of getting more accurate information faster? - What is the value of being able to drive consensus around an idea faster? - What is the value of building trust? - What is the opportunity cost of not innovating? I would have liked to have added these questions to the Social Media ROI Case Study Slam panel, maybe for future reiterations. I'd like to see variations on the Justin Perkin's Social Media ROI Calculator to incorporate some of those. Rachel goes on to say, that "The things he can measure easily (activity) are not the things that provide insight into the real value to the organization." Ah, yes, was going to ask about the intangibles. She points to EMC blogger talking about the difficulty of measurement. Doesn't sound too much different from nonprofit or not? At some point, our free ride will come to an end. The company will realize they're spending a big chunk of change on this stuff, and there will be a clear need to formalize metrics around the paybacks we're getting from a multi-headed investment. But, I'm not quite sure what we'll measure, or how we'll measure it. Some real work will need to be done around an "E2.0" balanced scorecard, and how well we're doing against it. And, I don't think anyone has really done this yet, as far as I know. Sure, we're poking around with "buzz measurement" tools, and anyone can capture page views, but I keep thinking we're missing the real value of having people meaningfully engage with each other. Sometimes, I think we're trying to measure a great conversation, or a wonderful party. The qualitiative aspects seem to outweigh the quantitative ones. Sure, we could construct a quantitative case, but that'd miss the point of what's turning out to really matter. Rachel has a page listing social media metrics. This slideshow caught my eye. It's about the difference between KPI and Metrics. I discovered key performance indicators while researching the Google Analytics Screencast. I jumped down the rabbit hole of KPIs and read everything by Eric T Peterson who is the founder of a company called, Web Analytics Demystified. Some of his books include: Web Analytics Demystified, Web Site Measurement Hacks and The Big Book of Key Performance Indicators. Peterson defines KPI as "numbers designed to succinctly convey as much information as possible. Good key performance indicators are well defined, well presented, create expectations and drive actions." Now .. I'm interested in the best practices around using KPI and Peterson's book is a fantastic resource. I thinking about what is translatable to nonprofits and organizations that have smaller budgets than Fortune 500 Companies used as examples in the books. 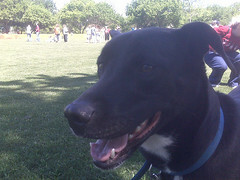 My name is Carie and I’m the Internet Marketing Manager for The Humane Society of the United States. I run the org’s web 2.0 and online advertising campaigns. I love animals and I love the internet, and I’m a self-proclaimed social networking junkie. The HSUS is the nation’s largest and most powerful animal protection organization. We’ve been responsible for bringing animal cruelty and animal welfare related issues into the media spotlight and on the minds of average Americans. But this case brought dogfighting into the spotlight and raised awareness to people that may have never heard of it before. Since this brought dogfighting into the spotlight and put it on the minds of many Americans, we figured it was a good time to reach out to people. People were buzzing about the issue online and obviously outraged by their comments. We could tell by all the comments and images floating around. We wanted to take that energy and give people an outlet to express their feelings about michael vick and dogfighting in general. We wanted to be creative and capitalize on the media attention to bring dogfighting into the spotlight. How do you know if it was successful? If the numbers are good? If it was worth your time? We do not use a formula to determine if a social media campaign was successful. We also do not track time – everything is an estimate. Did you build a relationship with a blogger that will cover your stuff in the future? Made a TV PSA that otherwise we would have had to pay to get an agency to do. We learned - were running a flickr contest right now that takes lessons learned from wendys and has been successful. If you or your boss are stuck on time spent ROI, track as you go. One person to know where all the moving parts can be brought together to evaluate in the end. Also helps for communicating with UGC contestants and winners. Disclose policies in contest rules - this is the easiest way to incorporate list building in UGC campaigns is to disclose that all entrants will be auto added to your email list and can unsubscribe at any time. Next time, we’re thinking of having a celebrity judge so that we can collaborate with them and generate more excitement about submissions. Most of my time was spent doing contest logistics since this was our first contest. Next time put more time into creating buzz. The complete panel notes can be found here. Introduction: Even liberal arts kids can measure. It’s not all about math. You can measure stories and connections through documentation, too. American Red Cross background: Post Katrina, ARC knew there were negative blog posts about it but had no capacity to respond or even monitor. Hired social media integrator to “combat” bloggers and to increase organizational transparency. Listening is the What: First order of business to get handle on existing conversation. Hundreds of mentions across social media platforms each day. Exponential increase in times of disaster, nature, man-made and PR varieties. We monitor and track all of it, and respond to a lot of it. Why We Listen : ARC wanted to correct misinformation, to be informed about public opinion, to track conversation trends, to identify influencers, to create relationships. Instead of “combating” bloggers, found most are passionate and positive and want to help, so now engaging them and giving them tools to tell their stories on big platform. STRATEGY: Able to inform PR strategy example: J&J sues ARC for trademark infringement, monitoring real time mentions informed immediate strategy. Not rocket science – just keyword search across social media platforms, lots of em (Technorati for blogs, Flickr, YouTube, Terraminds, Facebook, etc). If have special circumstance, use special additional keywords to track. For example, did lots of J&J searches during first days of trademark lawsuit. Cull all of the daily mentions into a daily update email that’s distributed widely to internal ARC audience. Compile by line of service and/or subject matter, depending on day’s news. Note which posts I need help answering, consult with subject matter experts. Generally keeps everyone abreast of daily conversation. Determine who will get a response, whether it’s a thanks or something that needs fixing/addressing. Spend time reading, watching, or looking at the other content before responding. Use judgment in avenue of response: email, comment, or leave it alone. Over time, evaluate areas where people find their intersection with the Red Cross to be compelling enough to post about publicly. J&J example: We watched mentions to determine where various industries stood so we’d know whether to back off or continue our aggressive PR push to shame them into dropping the suit. 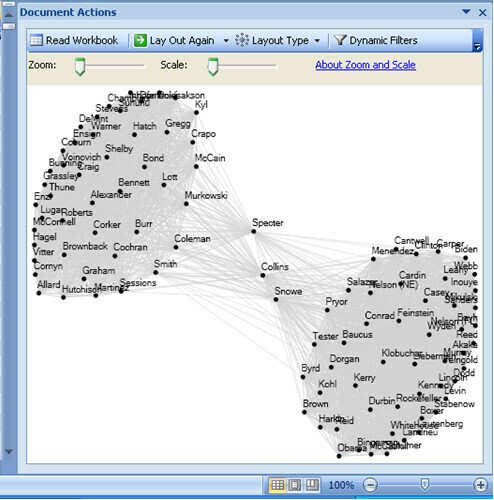 Use # of readers and tools like Technorati authority to determine influence of mentions. Authority matters but is not everything. Sometimes most compelling story or most pressing issue comes from social media user with smallest influence. Document all of the anecdotal evidence of return on investment and keep it in one spot so you can easily grab it when questioned. ARC is stodgy and slow to change. Lots of baby steps are necessary for organization-wide adoption of social media. Culture shift is huge for this organization. It is happening, but slowly. Firewall. Only a handful of employees are able to access ANY social media sites. If more employees were able to view and interact, impact of listening would be MUCH broader. BUT – with some of the evidence here, I’ve nearly convinced senior leadership of need for opening access. By documenting the conversation, created value. Everyone wants the feedback now. Documenting successful one-on-one outreach with stakeholders lays groundwork for future social media campaigns. Taking the baby step of listening has made the case for integrating appropriate social media tools in all ARC communications – opening the door to 2 way communications department instead of one way. By reading and reaching out, created external value as a listener. Send message that you matter as a stakeholder by taking time to listen and incorporate your ideas. Achieving higher degree of transparency. Easy to aggregate conversations into data to recommend systemic change and to inform organization of trends and possible strategies. Don’t forget the little guys – they can become passionate influencers with continued relationship building.